Number One for fiendish fun! 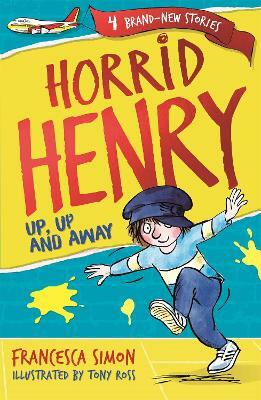 Four brand-new, wickedly funny and totally brilliant stories featuring the inimitable Horrid Henry! Contains four stories: Horrid Henry: Up, Up and Away Horrid Henry Changes History Horrid Henry Steals the Show Horrid Henry and the Zoom of Doom Illustrated by Tony Ross, these timeless stories offer an irresistible introduction to ready for pleasure, featuring one of the best-loved characters in children's fiction.